In one of the best games so far in the 2012-13 Turkish Airlines Euroleague, FC Barcelona Regal stayed undefeated in Group D by downing Partizan mt:s Belgrade 85-82 at Palau Blaugrana on Thursday. Barcelona improved to 4-0 and set up a big battle for first place in Group D next week, when it visits CSKA Moscow in the Russian capital. Partizan dropped to 0-4 and needs to bounce back right away to keeps its Top 16 options alive. 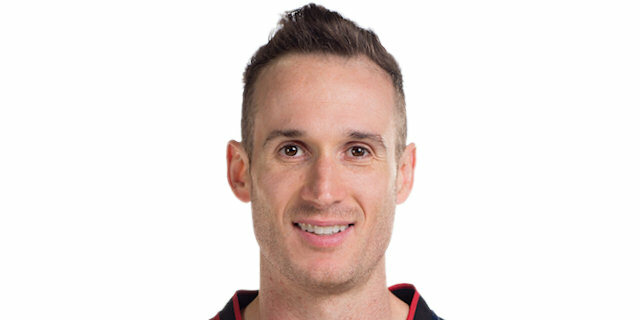 Marcelinho Huertas paced the winners with 24 points on 6-of-7 three-point shooting and 9 assists. Nate Jawai added 16 points and Juan Carlos Navarro had 15 for Barcelona. David Bertans led Partizan with 17 points. Dejan Musli added 14 while Leo Westermann had 13 for the guests, who led 7-15 midway through the first quarter. A 16-0 run that Sarunas Jasikevicius capped with free throws gave Barcelona a 23-15 lead after 10 minutes. Vladimir Lucic shined in the second quarter and allowed Partizan to tie the game, 37-37, at halftime. Navarro buried four three-pointers in the third quarter to give Barcelona a 67-55 cushion after 30 minutes. Bertans and Drew Gordon stepped up and free throws by Lucic brought the guests within 84-82. Jawai made 1 of 4 free throws down the stretch, but Bertans missed from downtown in the final seconds. Musli got Partizan going with an easy basket. 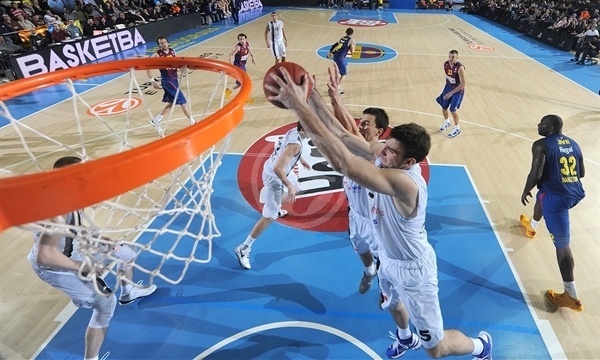 The guests' defense forced Barcelona into consecutive turnovers. Meanwhile, Dragan Milosavljevic scored in transition and a three-pointer by Bertans gave Partizan a 0-7 lead. Erazem Lorbek scored in the paint and Ante Tomic matched Musli's four-meter jumper with a close basket for a 4-9 Barcelona deficit. 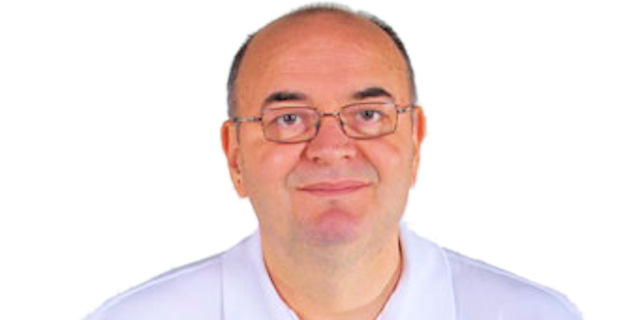 Milosavljevic scored again and a layup by Musli made the Barcelona fans start to wonder at 4-13. Huertas tried to change things with a three-pointer, but an unstoppable Musli dunked for a 7-15 Partizan margin. Huertas insisted from downtown and soon added a stop-and-pop jumper to bring the hosts within 12-15. Huertas fired in another triple and Jawai added a big basket in the low post to give Barcelona its first lead, 17-15. Navarro took over with his trademark 'bomba' and Jasikevicius followed free throws with a driving layup to cap a game-changing 16-0 run and boost his team's lead to 23-15 at the end of the first quarter. 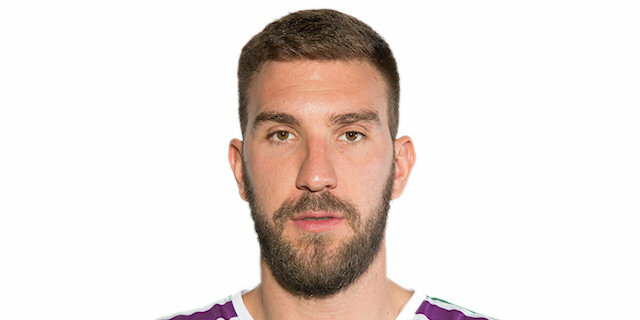 Lucic tried to change things with a big triple early in the second quarter and Nikola Milutinov dunked it for a 23-20 deficit. C.J. Wallace stepped up with a bomb from downtown, but Lucic buried a jumper off the dribble and a six-meter shot by Torey Thomas kept the guests as close as 26-24. Barcelona struggled to find the way to the basket and a long jumper by Danilo Andjusic forced the hosts to call timeout at 26-26. 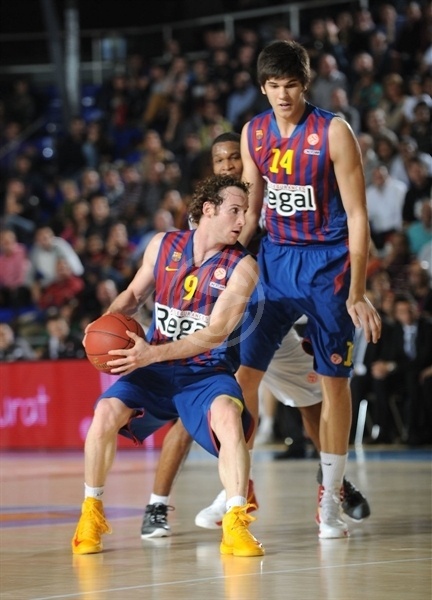 Huertas banked in a backdoor layup and soon buried his fourth three-pointer to give Barcelona some fresh air, 31-26. Thomas scored again and free throws by Musli made it a one-point game, 31-30. Barcelona lacked a scoring reference despite having Navarro and Lorbek together on court. Meanwhile, free throws by Musli put Partizan back ahead, 31-32. Marko Todorovic scored in the paint, but Lucic took over with a fast break dunk. Lorbek split free throws and Huertas sank his fifth triple in as many attempts but a layup-plus-foul by Westermann tied the game again, 37-37, at halftime. Bertans hit a jumper immediately after the break, which Jawai erased with a two-handed dunk, as Barcelona improved its defense. Jawai ignited the crowd with another big slam, but Bertans answered from downtown as Partizan regained the lead, 41-42. Navarro joined the three-point shootout with back-to-back bombs from downtown that gave Barcelona a 47-42 edge. Partizan called timeout, but Navarro fired in yet another one from beyond the arc. Djordje Gagic tried to change things with an alley-oop layup, but C.J. Wallace bettered that with a three-pointer and Navarro nailed another one from downtown to make it a double-digit game, 56-46. Jawai stepped up with a layup-plus-foul and Westermann scored to keep his team within 50-48. Jawai scored again in the low post but Lucic briefly silenced the crowd with a four-point play. Victor Sada shined with an off-balance jumper that Bertans improved with a triple. 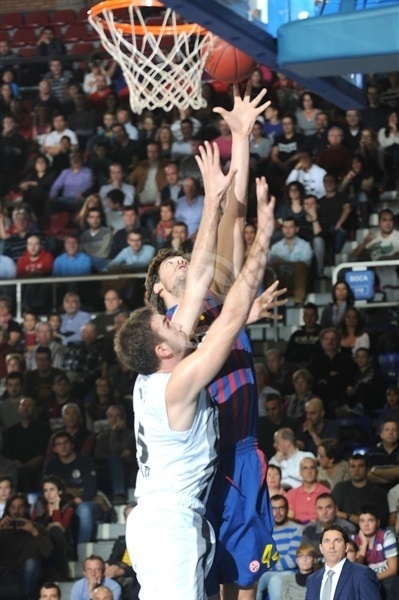 Sada kept pacing Barcelona with back-to-back baskets to boost the hosts' lead to 67-55 after 30 minutes. Tomic shined with an off-balance basket in the low post early in the fourth quarter. Gordon stepped up with a tip-in that Xavi Rabaseda bettered with a high-flying three-point play. Milutinov scored down low but Alex Abrines pleased the crowd with a slam. Milosavljevic split free throws and added a breakaway dunk to force Barcelona to call timeout, 74-62, with over six minutes left. Jawai slammed it again and bettered that with a layup-plus-foul, but Bertans answered from downtown to keep Partizan within 78-66. Westermann added his own shot from downtown to bring Partizan within single digits, 78-69. 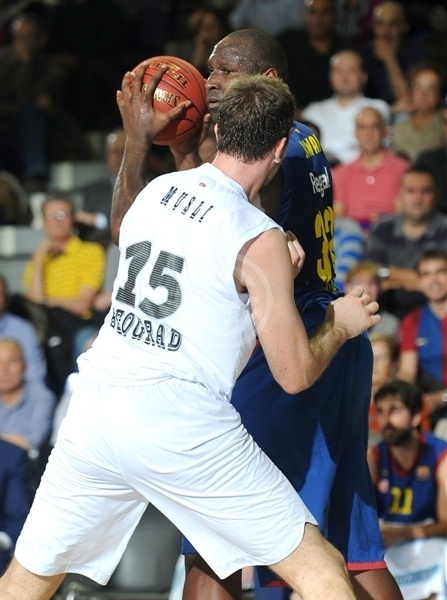 Barcelona kept struggling to score, as Partizan had started to double-team Jawai. Bertans downed another triple to force the hosts to call timeout at 78-72. Free throws by Musli capped an 0-11 run to make Partizan return to the game, 78-74. Huertas made free throws, but Gordon nailed a triple for an 89-77 score. Huertas hit a circus shot from downtown off the glass, but Westermann immediately answered from downtown. Navarro hit 1-of-2 free throws, Lucic did not miss from the line and a foul shot by Jawai gave Barcelona an 85-82 edge with 10 seconds to go. Bertans missed from downtown and Partizan sent Jawai to the line with 4.1 seconds left but time expired before Partizan could regain possession. 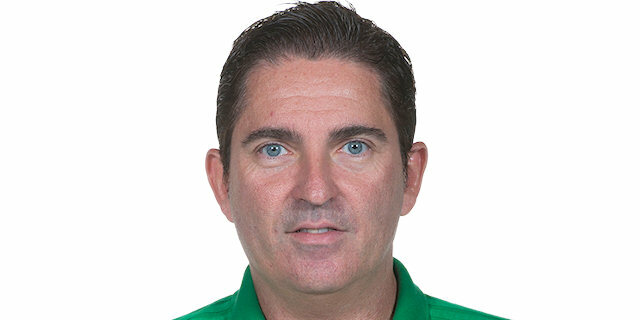 "I am happy with this win in a complicated game against a very talented team, full of young players that made us pay a high price for our mistakes. We had a big lead twice during the game, but our defensive mistakes allowed them to return to the game. Partizan played extraordinary well during some minutes, Leo Westermann had a great game. They have played their best game this season and despite their 0-4 record, I think they can make it to the Top 16. They played three games on the road and just once at home. They will have their chance from now on and I think they will qualify." "We played a good game, but our youth was proven in two great runs that allowed Barcelona to win the game. They had a 16-0 run in the first half and a 14-2 in the second half. It is positive that our team reacted twice and managed to return to the game. Our last play was designed for Bertans, who had a great game, but he was out of position when he took the shot. We go back home with our heads high and I am sure they will pay off one day." "We knew that Partizan plays very intense basketball and never give up. They gave a lot of energy players and this is the way they play. We got an important lead during the game but know Partizan would not give up and they used three-pointers to return to the game. We had hit our three-point shots and it is a matter of confidence. We have been playing like that all season, getting open shots. We are playing the right away and self-confidence have helped us to start hitting shots. It is a pleasure to play in front of our great fans at Palau Blaugrana. We hope to give them plenty of reasons to cheer for us." "We lost against Barcelona because of allowing a great run. I cannot be happy, our hustle was not rewarded with the great victory that we deserved as much as Barcelona did. We know that working hard is our only way, more sweat and sacrifices. I hope that it all be returned in our favor one of these days."